We love having kids join our training classes a lot of time parents are unsure of how to include their children in their dogs training. This article focuses on games that can keep both your kids and dogs occupied while teaching each other appropriate interactions. 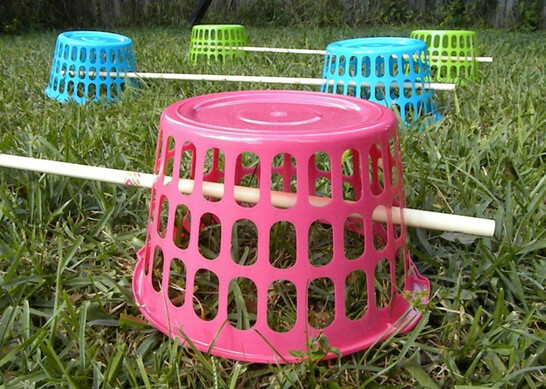 Games to encourage kids to be involved with the dog’s training. 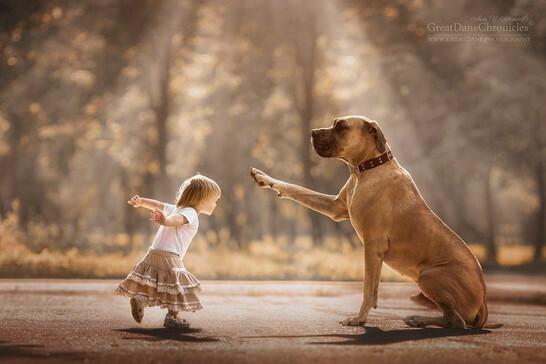 It is good for any dogs or puppies that get to excited when the kids play. Have the kids run around the back yard (green light) any time the dog/puppy gets in the children’s personal space to much such as jumping, mouthing or getting to rough yell red light. The kids freeze and you get a sit from your dog. Once your dog sit you can restart the game with a green light. This helps a dogs learn boundaries getting too close to the kids while they are playing ends the game and helps to teach puppies how to control themselves. Almost all dogs and puppies as ling as they can take treats gently. Supply your kids with regular house hold objects like cardboard boxes, laundry baskets, broom sticks, step stools, or kids tunnels. 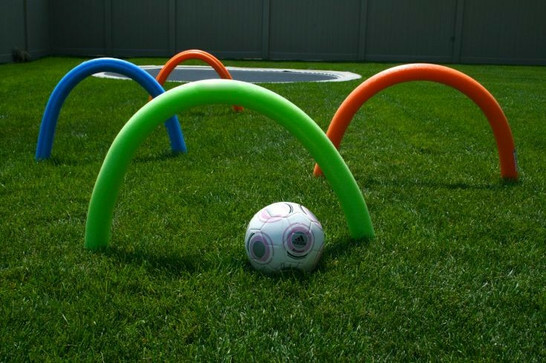 Help your kids use these things to make their own obstacle course. Then give your kids a treat and see who can get their dog to go through the course the fastest. 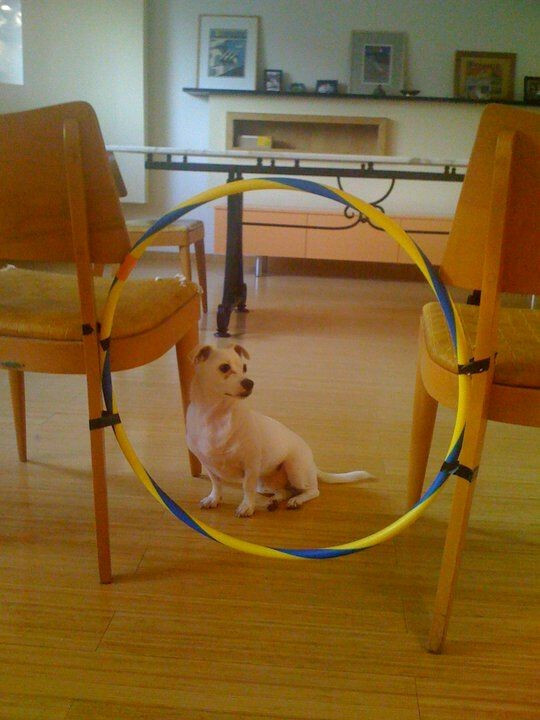 This helps dogs to learn how to be lured and it helps kids understand how to get dogs to do what they want without physically manipulating them. It is good for all dogs and puppies that can take treats gently. Start by having the kids hide in the same room as the dog give each kid a treat. 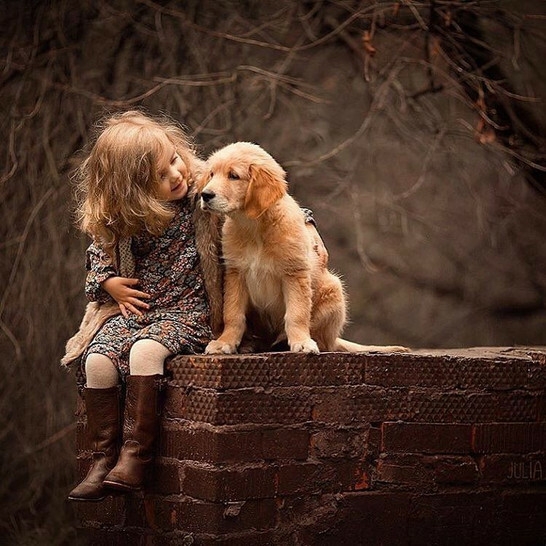 Tell the dog find “Molly” or find “Johnny” then ignore your dog and let the child he is finding call him. When the dog/puppy finds the correct person he gets a treat. When the dog/puppy gets the hang of it you can use the whole house to play. This helps your puppy learn to come when called and learn the family member’s names. All dogs and puppies that can take treats gently. Everyone should have a few treats maybe five (let the children count the treats and pass them out). Everyone should stand in circle and with your dog in the middle have the first person walk up to the dog put the treat to the dog’s nose and say “Come” Once they say “come” have them run back into their place in the circle when the puppy gets to them give them 1 treat. Have the person on the other side of the circle call the dog and then take turns. It is important that if the dog comes to the wrong person the person who didn’t call the dog ignores them completely until it is their turn. This teaches kids how to call their dog and it teaches dogs to come to everyone in the family! Hold your dog by the collar and have your child hide your dog’s favorite treat (Insight at first, once they get better the hiding spot can be harder) When your child is done hiding the treat have your kiddo come back and tell your dog to “Find it” as soon as the child cues the dog to “find it” release the collar! Good luck with training your dog or puppy! Getting the whole family involved helps to ensure that your puppy or dog can be handled and controlled by all family members and more importantly it teaches children safe ways to interact with their dogs and builds a unbreakable bond! 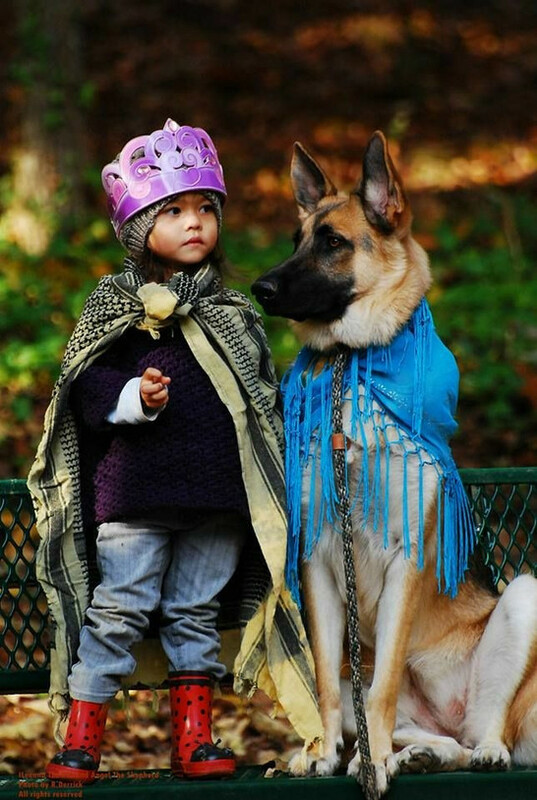 Want your kids to do more with your dogs?